IRVINE, CA--(Marketwired - December 12, 2016) - Just in time for the new year, Tilly's Life Center (TLC) is pleased to announce its new identity and global website, refreshed and fully equipped to support its mission "to inspire today's youth to reach their full potential as productive, kind, happy and responsible individuals." 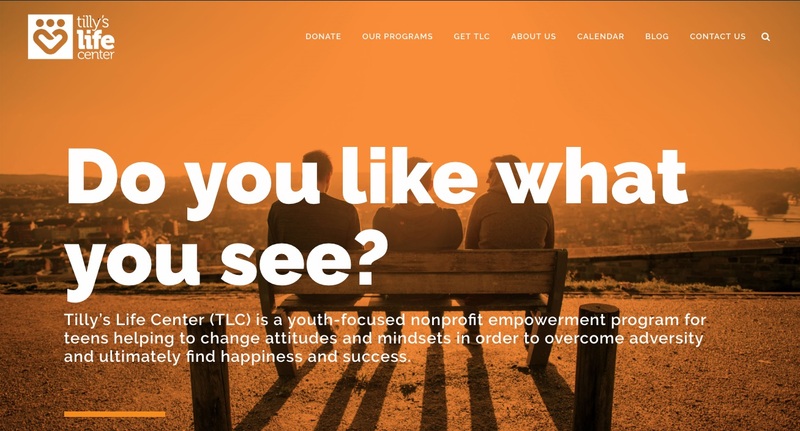 With just a few easy clicks, discover how to bring TLC to a new school or community, how to get involved and what TLC's empowerment program is doing to create an enlightened generation of future parents, employees and leaders. To learn more about TLC's new identity and to explore the website, please visit: http://www.tillyslifecenter.org/. TLC's "I Am Me" program empowers teens by teaching life skills that build confidence, inspire compassion, and encourage them to pursue their dreams by using experiential learning, including: journal writing, open discussions, and activities. TLC's "I Am Me" program can be modified to fit any timeline and schedule or given as a workshop or series of workshops. Schools and educators can help empower and provide teens with effective life tools, helping them acquire the self-confidence and self-respect needed to make better life choices by signing up for TLC at: tillyslifecenter.org/get-tlc. Corporations can support TLC's purpose to educate teens and help expand its program into new schools by sponsoring a teen, high schools, after-school programs or TLC's operations. Give someone the power to change their own life by fundraising or donating to TLC online, offline, by phone, in-kind donations or help by creating a campaign or pledging your birthday. With the help of its generous contributors, both public and private, TLC is able to provide for and empower the next generation of community leaders. For the latest news, ideas and inspiration from TLC, its students and supporters visit www.tillyslifecenter.org and stay connected by following @tillyslifecenter and searching these hashtags #TillysLifeCenter #TLC. TLC aims to empower teens to overcome their own adversity and crisis through positive thinking. Through tested methodologies from globally-respected thought leaders, TLC teaches effective life tools that enable teens the confidence and self-esteem they need to take responsibility for themselves -- ultimately giving them the power to make positive changes in their own lives. To find out more, please visit www.tillyslifecenter.org.